While it is true that everything a redeemed person does should be done with both an attitude of worship and with the goal of glorifying God, there remains a special and specific role for the gatherings of the local church. For example, Paul tells Felix that while he used to worship by “going to Jerusalem,” now he worships “according to the Way, which some call a sect” (Acts 24:11, 17). In other words, Paul’s worship was in his heart, but in tune with the worship of other Christians. 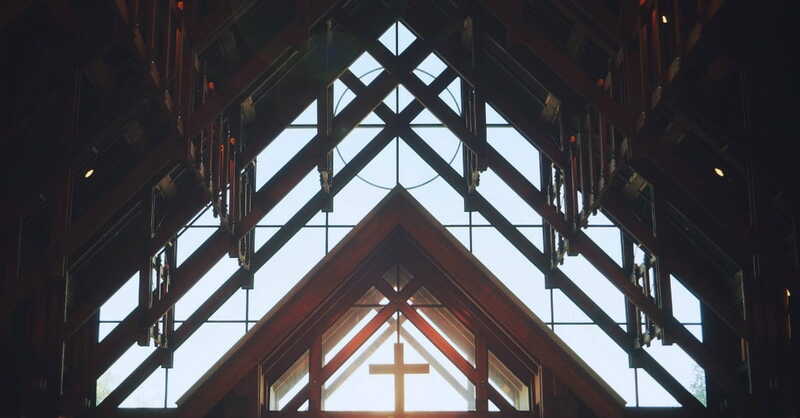 So how is a Christians’ worship fostered specifically in the gathered church? Clearly the Lord’s Day gatherings of the congregation are the focal point of corporate worship. The structure of the Pastoral Epistles highlights this. Worship is seen in the corporate gatherings because there, under the authority and leadership of the elders, the church takes on a life of prayer (1 Tim 2:8), work (v. 10), and instruction (v. 11). This is where the preaching of the word happens (1 Tim 5:17, 6:2; 2 Tim 4:2). In that context, the elders lead the corporate gatherings which gives rise to the Lord’s Day worship service. Scripture gives seven basic components of this corporate worship gathering (fellowship, the ordinances, Scripture reading, giving, prayer, singing, and most notably preaching). But it is assumed that all of these happen under the leadership of the elders, and together make up the corporate worship of the church. This fellowship is seen when likeminded believers, united in the pursuit of holiness, join together to celebrate what God is doing in their lives (1 John 1:6-7). It is in this context that the commands to mutually edifying speech become practical in how they create an atmosphere of worship (Rom 12:16, Col 3:9, Jas 4:11, 5:9). Acts presents baptisms happening both in a gathered service (Acts 2:38, 41) and outside of one (8:36). But because of the image that baptism presents of being joined to the body of Christ, it is a powerful act of worship when it happens at the gathered body of believers. While there is gray area about how baptism relates to the corporate gathering of the church, that ambiguity is set aside in dealing with communion. Paul’s teaching in 1 Corinthians 10-11 is a strong indication that he saw communion as being practiced in the corporate gathering of the church. In fact, he expressly says that communion should be practiced when the congregation “comes together” (1 Cor 11:17, and again in v. 18). He then goes on to lament the practice of having different parts of the church take communion independently of the rest of the body. While having three worship services (where everyone takes communion simultaneously, but three different times) seems to comply with the heart of Paul’s command, taking communion in ABF’s or in meetings under the leadership of only a section of the church seems to be practicing the very thing that Paul wanted to avoid with communion. Paul tells Timothy that when the church is gathered, they need to “give attention to the public reading of Scripture” (1 Tim 4:13). The context of 1 Timothy reveals that Paul viewed this kind of reading as connected to, but nevertheless different from, the teaching and preaching of God’s word. Paul’s command is likely modeled off of the example of Ezra in the courtyard of the temple: “Ezra opened the book in the sight of all the people for he was standing above all the people; and when he opened it, all the people stood up. Then Ezra blessed Yahweh the great God. And all the people answered, ‘Amen, Amen!’ while lifting up their hands; then they bowed low and worshiped Yahweh with their faces to the ground” (Neh 8:5-6). That passage, which is preceded by similar events in the life of Israel’s kings, shows the noteworthy connection between scripture reading and worship. It highlights the authority of God’s Word, and that the congregation (including the elders and leaders) are under it. It highlights the perspicuity and clarity of God’s Word, by having it read clearly and without explanation, and seeing the force that it brings. It uses Scripture as much of it was intended (such as the Psalms, for example); namely, for public worship. This has been the practice of the church since its inception, and was also the practice of the Jews of Jesus’ time. It is practiced in most liturgical churches, and in much of the Reformation, Puritan, and Reformed traditions. Let me be quick to grant that all of these positives don’t mandate that it be done every week. But they do argue strongly for it being the norm. Let me likewise be quick to grant that they don’t eliminate the possibility of responsive readings by/with the congregation. Christians are called to be faithfully supporting the church that they worship in. Paul commands that if a Christian sits under the teaching of God’s word, they should be helping to support that pastor financially (1 Timothy 5:17-18). This command takes giving out of the realm of preference, and makes it a Christian obligation. Elsewhere, Paul explains how that giving should happen as a part of corporate worship. Paul viewed his support as a missionary as a gift not from individuals, but from the church in Philippi as a whole (Phil 4:15). He describes the offering he is asking for from the Roman church as one that can be received when he comes to visit the church (Rom 16:25-27). Paul describes how this offering should be gathered on “the first day of the week” (1 Cor 16:2). In fact, the entire chapter of 2 Corinthians 9 describes the joy of giving when the church gathers, and how that corporate giving works as an act of worship to God, in that if it is collected properly it is “producing thanksgiving to God” (2 Cor 9:11). As the church gathers and gives, it causes a desire to hear the news of how God is using the offering to take the gospel to the world. This leads to an increase in “prayer on behalf” of missionaries (v. 14), which has the effect of causing the congregation to say “Thanks be to God for his indescribable gift” (v. 15). In describing the corporate worship gatherings of the church, Paul says “first of all, I urge that entreaties and prayers, petitions and thanksgivings, be made on behalf of all men, for kings and all who are in authority, so that we may lead a tranquil and quiet life in all godliness and dignity” (1 Tim 2:1-2). In fact, Paul says that as the church gathers, it needs to model the power of “sound doctrine” seen through preaching, along with the power of “prayer” (1 Tim 4:5-6). While certainly there should be congregational prayer involved in corporate worship (Acts 1:14, 2:42, among countless others), the Scripture also puts an emphasis on the prayers of the elders (Acts 6:4). Congregational singing, prayer, music, giving, scripture reading, and fellowship are all expressions of worship that are seen in the gathered church. But when the congregation turns to the word of God, the preaching time becomes the most intense act of worship. By the sheer humility and faith expressed in being reliant upon the Word for instruction, God is honored and worshiped. As his people come together and demonstrate their reliance on teaching from the Word to supply knowledge for living, they are manifesting that their direction comes from God. When the teaching exposes gospel truths to the Lord’s people, the worship revolves around the death and resurrection of Jesus Christ. This shared experience is what guides the congregation as they scatter throughout the week to do the work of the ministry (Acts 2:42, Col 3:16, 1 Cor 16:2, 1 Tim 5:17, etc.). Preaching is the tool that the elders use when the body is gathered to equip the people to do the work of the ministry (Eph 4:11-12). Preaching is how the Bible is taught to the congregation, so that the entire body has a shared experience in the word. The Bible is what the Spirit uses to sanctify believers, and preaching is the means in which God exposes believers to His word (Titus 1:3). Thus, the more clear and expositional the message, the more powerful the sanctifying effect of preaching (John 17:17). And because presenting our bodies as sanctified sacrifices to God is our spiritual act of worship, then preaching is the fuel for worship. In other words, if worship that flows from a sanctified heart can only be based on right information about God, and if preaching is the tool God uses to convict people of sin and turn them to Christ, then preaching that is clear and convicting becomes the catalyst for powerful worship. If an individual’s worship will not rise above their level of knowledge, than a congregation’s worship cannot rise above the level of the pulpit. If the preaching time is the loftiest form of corporate worship, the singing can be the most personal. As people sing songs with sound theology, they often sing words with better theology than they know. As the truth of the lyrics echo in their souls, God is worshiped. When singers set their minds on the things above, and proclaim them with joy, it is a public demonstration of the worth of God. They then can be used by God to direct and lead the congregation into their own acts or worship. Thus singing is an essential part of the corporate worship service. It is commanded by Paul in Ephesians 5:19 and modeled by the Psalms. While certainly Christians don’t have to be in a congregational worship service to sing (think Christian radio, or jail—but I repeat myself; Acts 16:25), the function of a body as a whole lifting up voices to God glorifies him in a unique way. This is why we are not only commanded to sing, but to sing “to one-another” (Col 3:16). In light of all this, it is simply impossible for a person to love God, but not worship. And it is difficult to imagine how a person could love worship, but not the church; after all, God has designed at least 7 ways of worship that can only be done with the congregation. This article originally appeared on TheCripplegate.com. Used with permission. Which Jesus Will You Worship This Holy Week? 10 Prayers for Before Meals - Short, Simple, Beautiful!